1. Prep the quinoa (if using) If using quinoa to make this gluten-free, cook it now following pack instructions. 2. Start the tagine. 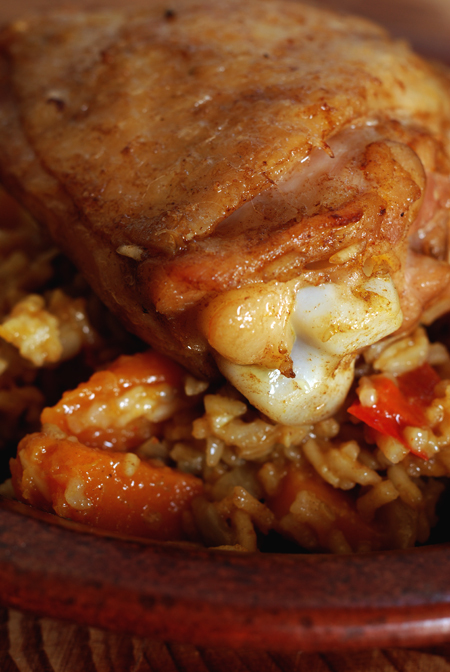 Heat a little oil in a large frying pan (or tagine) over medium heat and fry the chicken for 3 mins. 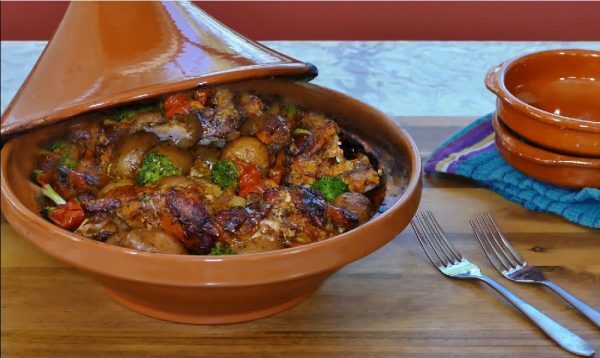 This Slow Cooker Chicken and Chick Pea Tagine is packed with those earthy and sweetly spiced Moroccan flavors and it will leave you craving more.